Children can be a real blessing, but during the earliest days of their life, they can also present us with some unique challenges. This becomes especially true after the age of six months when they begin the teething process and parents have to weather a whole new set of difficulties as they have an uncomfortable and hurting baby. One of the best ways to prepare for this period of their lives is by educating yourself on the details of how their teeth erupt and why they eventually lose them on the road to getting their adult teeth. Teething may be a fact of life, but knowing what’s coming will help you be prepared to see them through it. How Do My Children’s Teeth Erupt? Six months is when you’ll first start seeing your children beginning the teething process. 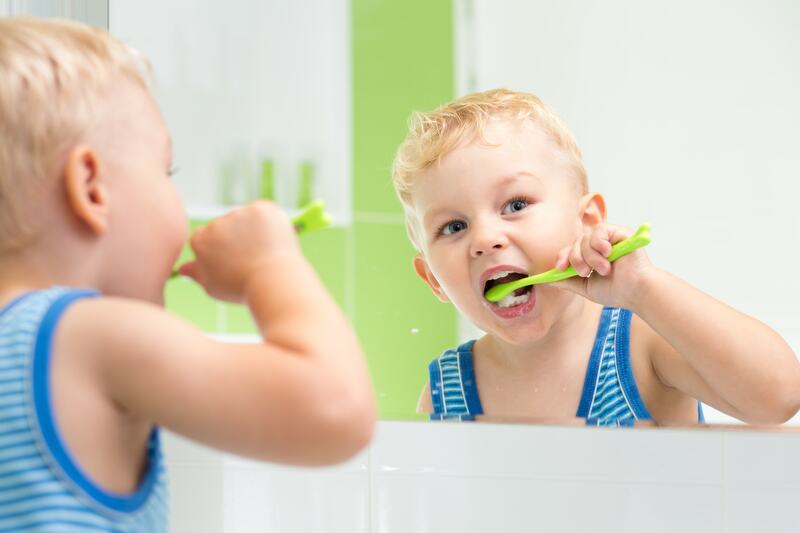 During the previous months your children’s baby teeth have been forming from the tooth buds in their jaw, and now they’re starting their painful upward journey through the gums and out into the world. The first teeth that will begin coming in are typically the incisors or the ‘bunny teeth’ that are situated directly in the front of the mouth. These teeth are often first noticed by nursing mothers when their baby begins testing them out while feeding. From this point until the age of 3 you can expect a steady progression of teeth coming in until they’ve got their full complement of 20 baby teeth. Where Do These Teeth Come From? Teeth are formed by the previously mentioned ‘tooth buds’, which will also be responsible for the formation of their adult teeth. In some patients, they’ll also have something of a genetic throwback in the form of 3rd molars. These teeth existed when our diets consisted of much harder to chew and digest food than we have now, but some people still have them grow in. You may know them as ‘Wisdom Teeth’. When these teeth come in they can cause all sorts of problems, the good news is you don’t typically have to deal with them until their late teens. Have you ever wondered exactly what the processes are that lead to the baby teeth loosening and falling out? What basically happens is that the tooth buds form a whole new set of teeth which start growing up under the old teeth. In the process, the old roots are killed off and the teeth pushed up and out of the way, getting loose before they fall out. The first sign that this is happening is typically your child announcing that they have loose teeth. While you may be tempted to help the tooth come out, it’s better to let it go through the process on its own and fall out naturally. Prematurely trying to remove the tooth can result in breaking a still living root, which can lead to infection. If you’ve recently had a new baby, or are expecting one to be coming along soon, stop in and have a conversation with Dr. Sam Bullard at Smiling Kids Pediatric Dentistry in Noblesville. He’s been working with children as the mainstay of his career and is always excited to help new families along their dental health journey.